The struggle for urban democracy – award winner! 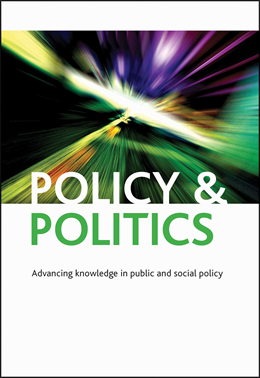 Mark Purcell’s article ‘The right to the city: the struggle for democracy in the urban public realm’ has been awarded the Ken Young Prize for Best Article Published in Policy & Politics in 2013. As Purcell points out, this idea is not some abstract utopian notion of human organisation, but instead a recurrent feature of co-ordinated and democratic behaviour occurring spontaneously around the world in sites such as Tahir Square in Cairo, Puerta del Sol in Madrid, Syntagma Square in Athens, and Zuccotti Park in New York. Rather than ‘lamenting these revelations as a failure’, we should, according to Purcell, ‘narrate the exhilaration that participant after participant reported having felt as they refused to be ruled and took on the challenge of ruling themselves… it is that joy and delight in discovering democracy and urban society that we must help to grow and spread’. Given the timeliness of Purcell’s article and its obvious relevance for society today, the persuasiveness of his analysis, and the way that the piece crystallises and moves forward a key debate in the journal, the editors warmly thank and congratulate Mark on this contribution to the discipline. Mark Purcell is Associate Professor in the Department of Urban Design and Planning at University of Washington, Seattle, US. Visit his personal blog here.